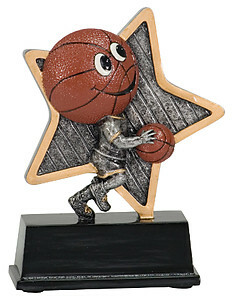 Check out all of our latest basketball trophies. 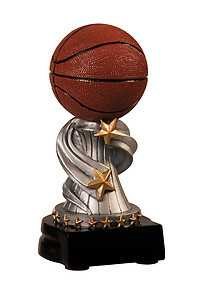 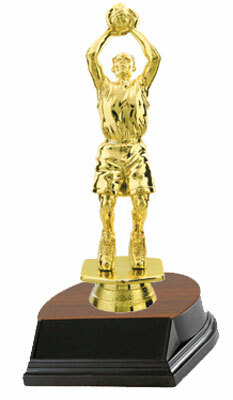 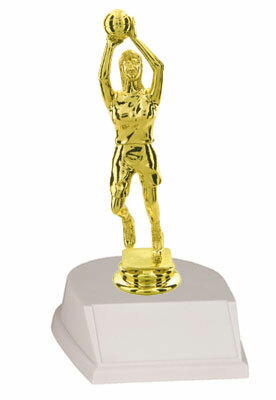 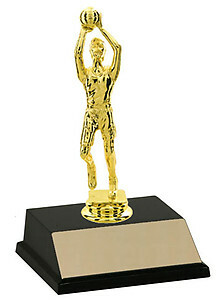 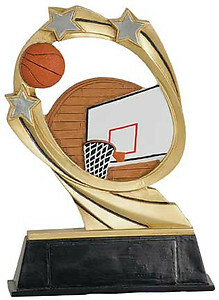 We have a wide variety of basketball trophies to accommodate any budget. 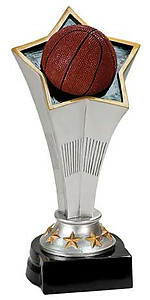 We have mens, womens and non gender basketball trophies. 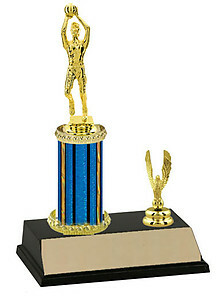 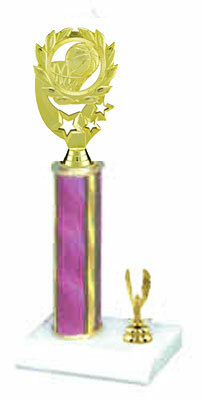 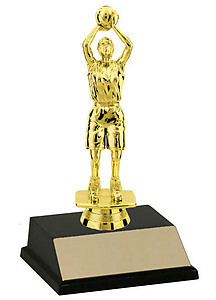 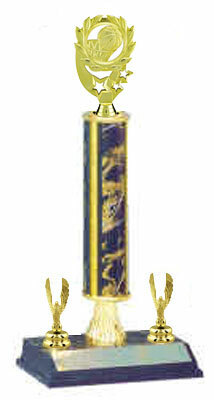 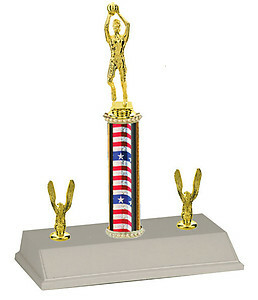 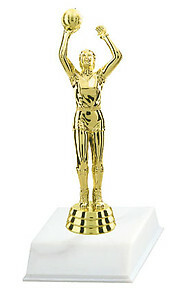 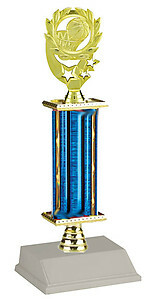 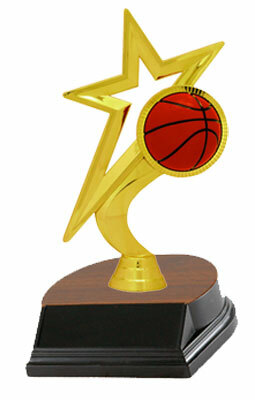 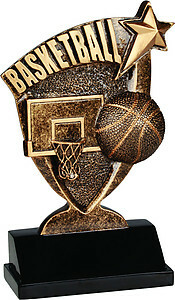 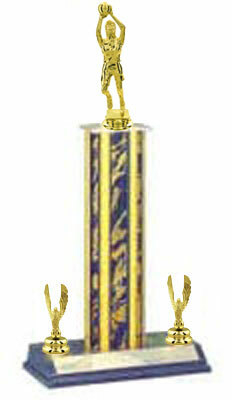 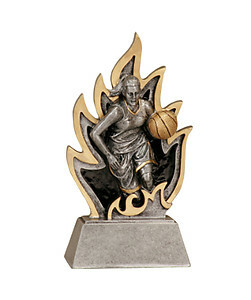 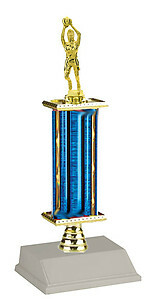 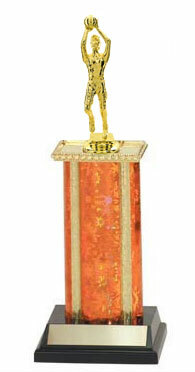 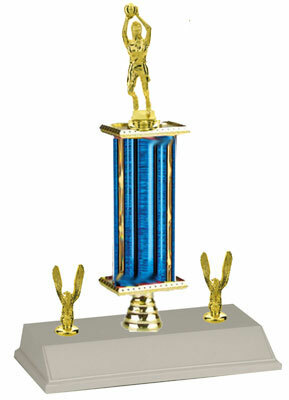 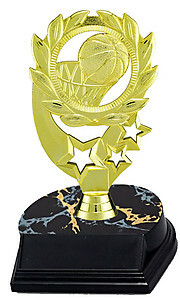 Our basketball trophies make great awards for youth basketball leagues, basketball tournaments, basketball camps. 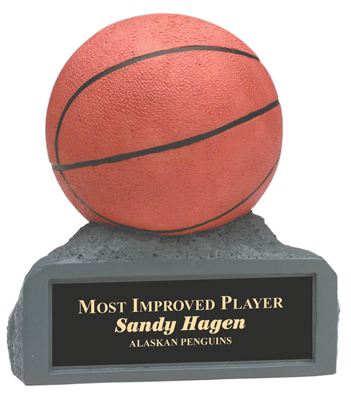 They are also great to give for your special awards like free throw winners, one on one, or three on three winners and hot shot winners. 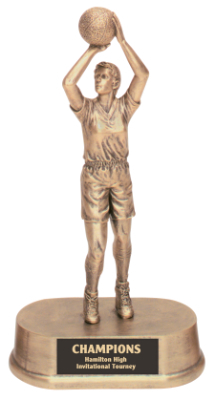 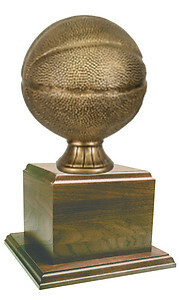 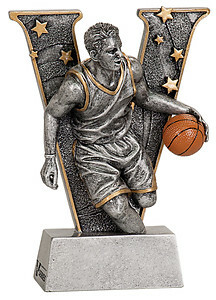 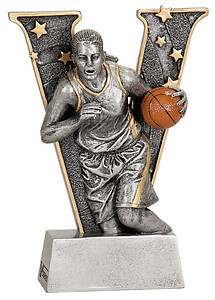 We offer the basic figure and base basketball trophy, which is a very economical trophy at the price of $4.25, to the classic four post basketball trophy for $50.00. 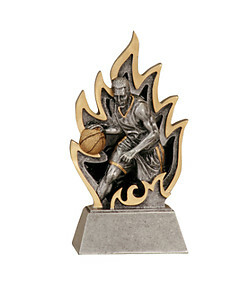 Or if you're looking for something a little less traditional, the Exploding basketball trophy is a great buy for just $6.99. 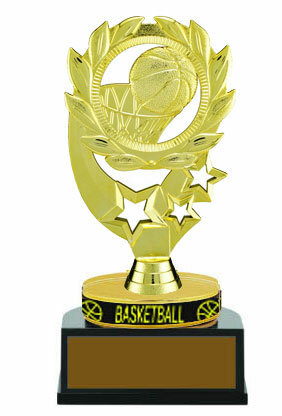 Scroll on down the page and when you find a basketball trophy you like just click on it for more information. 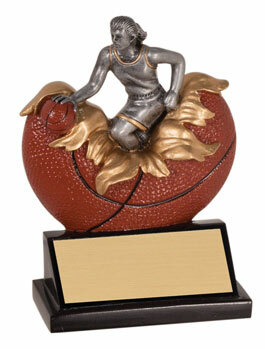 Resin Basketball on a cup base. 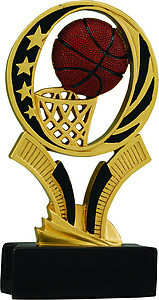 Resin Basketball Trophybands 6 1/2 inches tall with wearable wrist band. 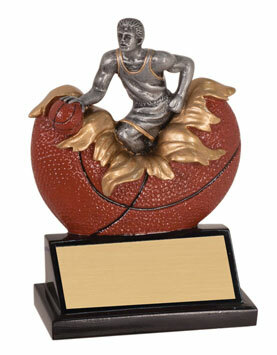 HR15 Resin Boys Basketball Trophies, 6 levels of pricing, scroll down for more information. 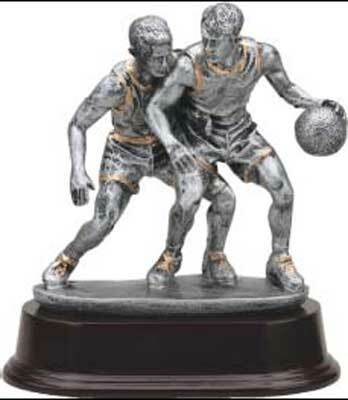 Smaller Resin Basketball on a cup base. 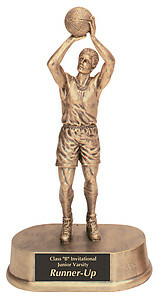 Smaller Resin Basketball on rb08 base.